Here’s a little bonus for business owners who decide to become clients of Bookkeeping Accounting and Training Adelaide. Whether you like it or not, one of your most valuable financial assets is your accounting data. It doesn’t matter which accounting package you use, it is vitally important that you secure your accounting data by taking regular backups of your data files and keep them in a safe place. Should you lose it, not only are you suddenly “flying blind” with regard to your financial decisions, but you’ve also lost many hours of work that will cost you time and more money to replace. You should always keep your backups “off-site” – i.e. not on your computer hard drive, not even in your office somewhere. Computers can be stolen (particularly laptops), hard drives can crash and, perish the thought, business premises can be trashed or even destroyed. Then where will you be? Assuming we are doing most or all of your bookkeeping, after we process your work, we will take a backup from your MYOB software program (or other accounting program) and then upload the backup file to a secure place on our website. That means that your accounting data will be safely stored out there in cyberspace! If at some point in the future you’re unfortunate enough to lose it, then once you’ve replaced your computer or hard drive, you simply reload your accounting software program and download your backup file from our internet servers. And at no extra cost . 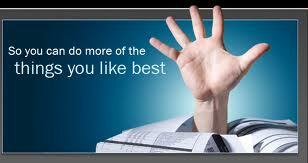 . . . . it’s all included in our regular bookkeeping or accounting fees. Then give Bookkeeping Adelaide a call today!